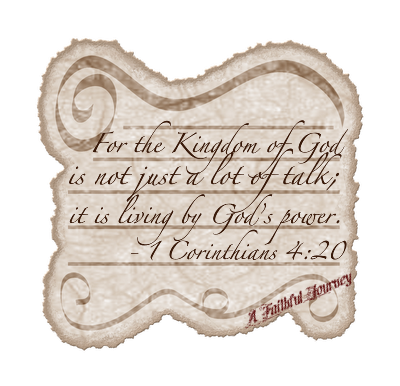 Obey the King – the writer urges us to honour the king, to be faithful in all we do. ‘Whoever obeys his command will come to no harm – and the wise heart will now the proper time and procedure’. No-one knows the future – so who can predict it? No-one can control the wind – just as no-one controls the timing of their own death. ‘All this I saw, as I applied my mind to everything done under the sun’. Although the wicked might appear to prosper, ‘I know that it will go better with God-fearing men, who are reverent before God’. The evil that happens : the hearts of men, filled with evil, allow madness to take over while they live. Eat, then, with gladness; drink with a joyful heart – for it is now that God favours what you do. Be clothed in white, anoint your head with oil. ‘anyone who is among the living has hope’….there’s always HOPE. Marriage (cont.) – Again, Paul is addressing the questions he must have had presented to him around whether it was better to marry or not. He talks of those who are engaged to be married, and urges them to ‘do as they want’, and encourages them to get married. It would also be right, though, to have thought things through and to decide not to marry. ‘So then, he who marries…does right, but he who does not marry…does even better.’ – again, probably Paul is simply making a comparison with those (like himself) who choose not to marry and find themselves sometimes freer to serve God whole-heartedly. Marriage is binding as long as both partners live, says Paul. When a husband dies, the woman is free to marry anyone else – he urges that she marry a fellow-believer (‘he must belong to the Lord’). Paul has clearly prayed these issues through: ‘I think that I too have the Spirit of God’, and rounds up this long passage on ‘Marriage’ by repeating his main point, that people should remain in the situation they currently find themselves (for Paul, time is short, and the mission is priority). However Paul appeals more deeply to the quality of love, of loving concern, which is greater / superior to knowledge. ‘Knowledge puffs up, but love builds up’. In the pagan society in which the Corinthian church is growing, some new believers bring with them the baggage of a ‘food-sacrificing’ worship of false gods. For them, there is the need to create a real separation from the past, to protect their ‘weak conscience from being defiled’. The greater issue for Paul is drawing near to God (and neither eating certain foods, or abstaining from them will by automatically aid that journey of faith). We have to be careful that our Christ-found freedoms don’t ‘become a stumbling-block to the weak’. In this example, a weaker brother may be ‘destroyed’ by seeing others eat temple food, allowing him to be tempted to sin. This is a powerful plea to counter knowledge with love, and heart to build up weaker members of the fellowship. I wonder in what ways we need to temper our behaviour, not because our salvation depends upon it, but because someone else’s might. 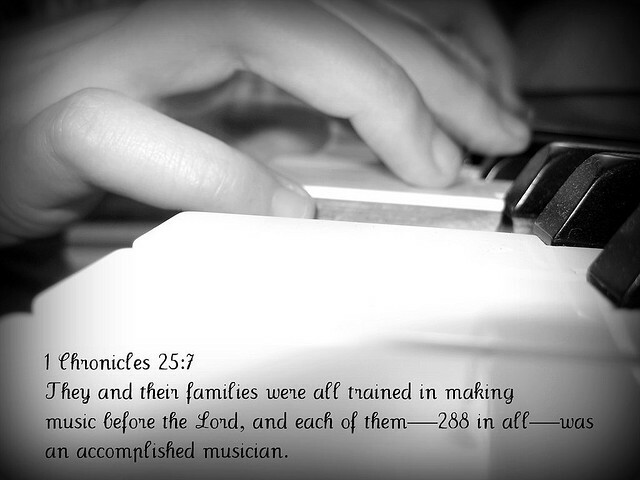 Come, let us approach Him with thanksgiving – praising Him with our music and singing. My Lord, my God – You are great – the greatest King, way above all gods. the seas are Yours for You made them, and You formed the land. 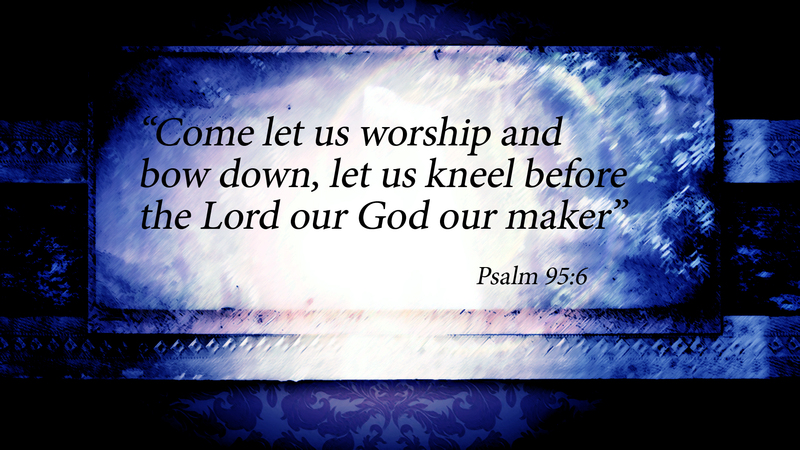 Come, let us bow down in worship – kneel before our Lord God. for You nurture and care for us. 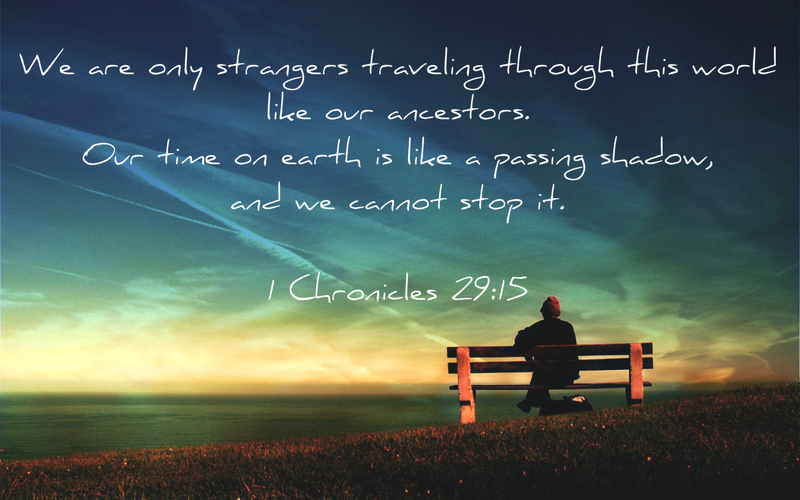 as our ancestors were tested, even though they had experienced so much in all You did for them. ‘My people’s hearts have wandered, they have drifted from my ways’. But better still, those who have not yet lived – they have not yet seen ‘the evil that is done under the sun’. ‘For whom am I toiling…and why am I depriving myself of enjoyment?’ – miserable meaningless living. Two are better than one…if one falls, his friend can pick him up…pity the one who falls and has no-one to help him up. Two who lie down together keep each other warm…how can one keep warm alone? ‘Though one may be overpowered, two can defend themselves. Advancement is Meaningless – The writer concludes that it is better to be a poor and wise youth than an old but foolish king. The king can no longer heed warnings; the youth may have come from prison or been born in poverty. However those who come later will not be pleased with the successor – all meaningless chasing after wind. It doesn’t matter where you’ve come from, success is fickle – and therefore devoid of real meaning, if that’s what you’re building your life upon. Stand in Awe of God – There is a call for people to be careful in their motives as they go to the house of God – people should go to listen, rather than to ‘offer the sacrifice of fools’. Dreams can reflect the number and weight of cares being carried – so too can foolish speaking reveal much through its many words. People should faithfully follow through on commitments made to God – ‘fulfil your vow’. Better not to vow at all than to vow and not follow through. We must be careful not to let our mouths lead us into sin, or to protest that we didn’t mean what we’d said. Riches are Meaningless – The writer notices the poor oppressed, their justice / rights denied – the officials are colluding and only looking after each other; the king gets richer through the profits from the fields. The more that goods increase, the more consumers consume – it’s all of no worth, just a sight for sore eyes. Hard workers sleep well, however much they’ve eaten; abundantly rich men suffer insomnia. there is an accumulation of wealth which harms its owner, or is calamitously lost, so that if the owner has a son, there’s nothing left to inherit. The writer comes to the conclusion that it is good enough for people to eat and drink and be satisfied with their work ‘during the few days of life God has given’ – content with our lot. It is a true gift of God when He allows people to gain wealth and possessions to enjoy, and to be happy in their work. Another evil is to see people acquire wealth, possessions and honour and then not be able to enjoy them – someone else reaps the benefit – it’s all meaningless. ‘A man may have 100 children and live many years, but if he cannot enjoy his prosperity, and doesn’t receive a proper burial, I say that a stillborn child is better off than he.’ As we all go the same way, the writer suggests that it would be better to never have seen the sun, than to live even a thousand years but be unable to enjoy all that we’ve worked for. ‘All man’s efforts are for his mouth, yet his appetite is never satisfied’ – what advantage does anyone really have? People’s appetites are always changing, growing, and it’s all meaningless. 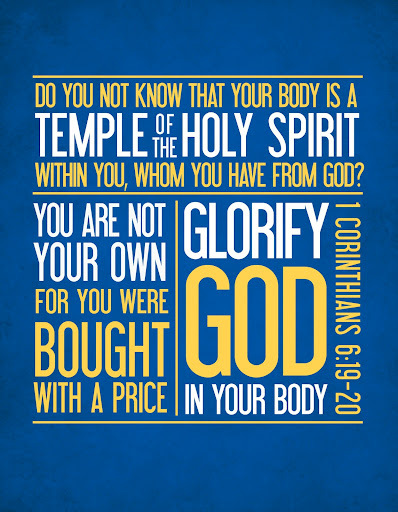 Paul urges the Corinthians to be content in whatever state they currently find themselves – circumcised or not (‘circumcision is nothing…keeping God’s commands is what counts’), slave or free (‘if you can gain your freedom, do so’…’he was a slave when he was called by the Lord is the Lord’s freedman…he who was a free man when he was called is Christ’s slave’), virgins or married. Paul refers to a crisis (v.26) – he is clearly responding to pressures people are feeling to marry, not marry, divorce, and he urges the Corinthians to not change their circumstances, but to live out their faith where they are. ‘Those who marry will face many troubles in this life, and I want to spare you this.’ – Paul may be making the point that marriage in itself doesn’t solve problems or avoid troubles; in fact, when individuals bring troubles or needs into a marriage, it can feel harder in the working it out. Paul’s point in the remaining verses is for those who feel pressured into marriage, that the unmarried have greater capacity to be concerned only about the Lord’s affairs, whereas the married carry a concern for their spouse and ‘the affairs of this world’. 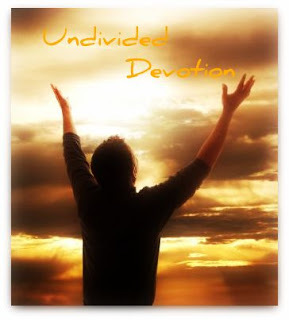 Paul wants the unmarried to see the ‘gift’ they are – ‘free from concern…devoted to the Lord in both body and spirit’. ‘The fear of the Lord leads to life. Then one rests content, untouched by trouble. The lazy person can’t even lift his hand from the dish to his mouth! The mocker should be dealt with harshly (flogging? ), that the simple might gain some wisdom. Even the ‘discerning man’ should experience rebuke, that he might gain knowledge. The son who brings shame and disgrace is the one who robs his father and drives out his mother. My son, if you stop listening to good instruction, you will be led on a path further and further away from sound, knowledgeable words. Witnesses who are corrupt are ridiculing justice…wicked mouths gulp down evil. Fools beware – watch your back! Wine produces mockers, beer produces brawlers – the unwise are led astray by both. Don’t anger a king – his roar is lion-like, his anger can be deadly. ‘It is to a man’s honour to avoid strife, but every fool is quick to quarrel’. That lazy person (sluggard) never ploughs at just the right time, so he looks in vain for the harvest! 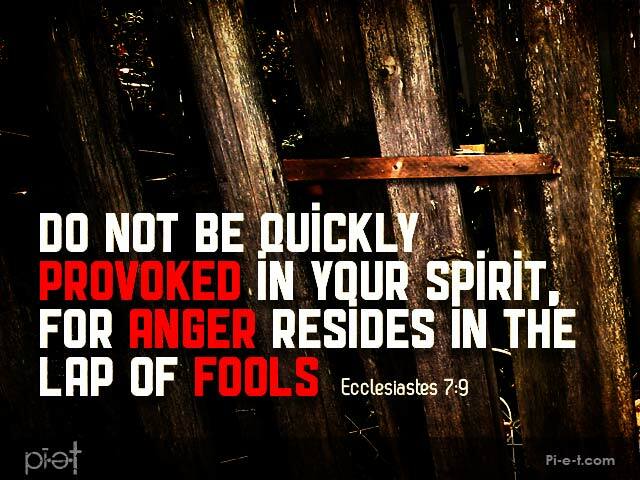 Ecclesiastes, some say, is a strange book to find in the bible – it is a challenge to the self-made man and woman who seek to better themselves, who seek meaning and purpose in a life without God. Vanity, vanity. All is meaningless. Where are we to find true identity, meaning and purpose? 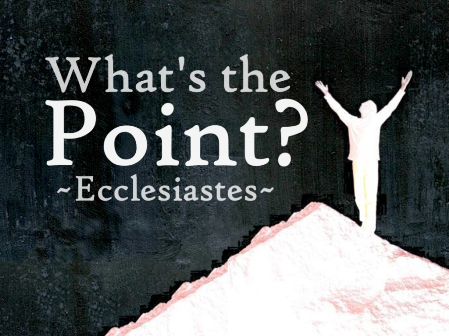 Everything is meaningless – The words of this book are attributed to ‘The Teacher’, son of King David (Ecclesiastes is a Greek word translated ‘preacher / teacher’). ‘Everything is meaningless – utterly meaningless. What is there to gain from all our hard work, the heat of the day? Water always returns to where it began. Everything is tiresome! Eyes are weary of seeing, ears of hearing. there is nothing new under the sun’. 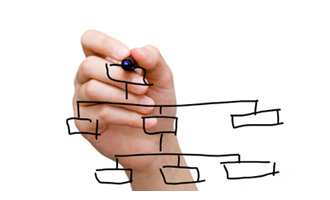 No-one can claim anything new – it has already happened, already been. 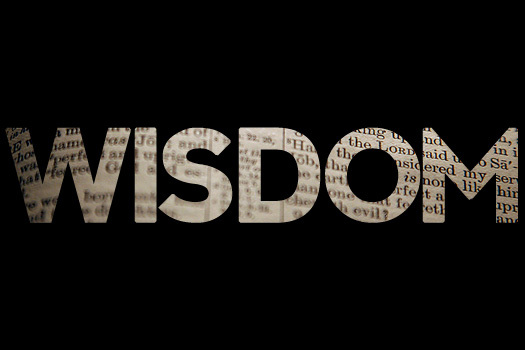 Wisdom is meaningless – ‘I was king over Israel in Jerusalem – committed myself to study, devoting myself to exploring the wisdom which reveals all heaven. It’s a weighty burden from God, and having seen all, it’s all meaningless – ‘chasing after the wind’. The more wisdom you have, the more you suffer; the more knowledge, the more grief’. Pleasures are meaningless – The writer tells how he sought after pleasure / happiness for meaning – all in vain. ‘I became greater by far than anyone in Jerusalem before me…In all this, my wisdom stayed with me’. Wisdom and Folly are meaningless – Then the writer tells how he sought after wisdom – all in vain. But I discovered that ‘the same fate overtakes them both’. there’s no gain in being wise…it’s meaningless. Toil is Meaningless – Then the writer considers the uselessness of work – it’s all in vain. My heart began to despair…‘a man may do his work with wisdom, knowledge and skill…and then leave it all to someone who has not worked for it…meaningless, and ‘a great misfortune’. What do we get for all this hard toil…pain and grief…sleepless nights…all meaningless. A Time for Everything – Then the best-know passage of this book, outlining the ebb and flow of life. So, again, what’s to be gained from all this hard work? What a God-given burden. There may be nothing better than to be happy and to do good, eating and drinking and finding satisfaction in work – the gift of God. 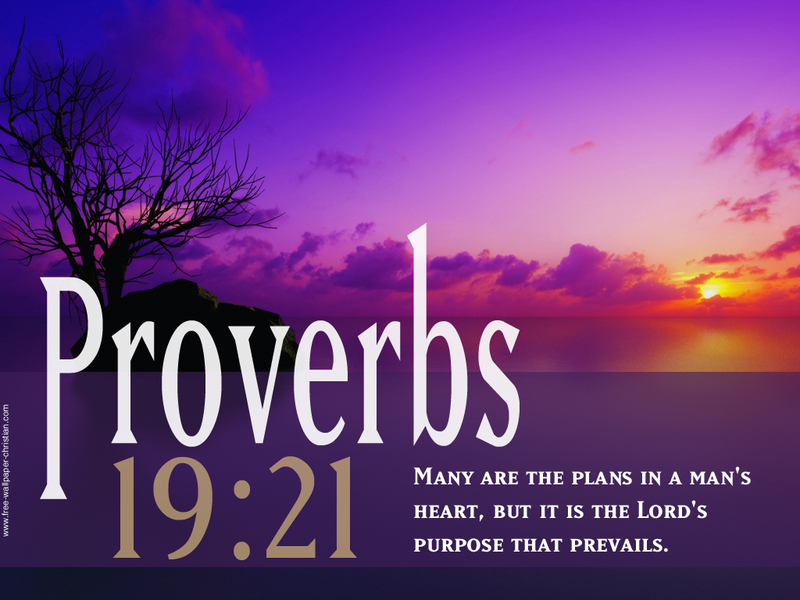 Everything that God does will endure for ever….men will revere Him. Nothing’s new – it’s all been before, and will come round again. Dust to dust – all go to the same place. ‘Who knows if the spirit of man rises upward and if the spirit of the animal goes down into the earth’? The most that can be said, then, is that people should enjoy their work – ‘that is his lot’. 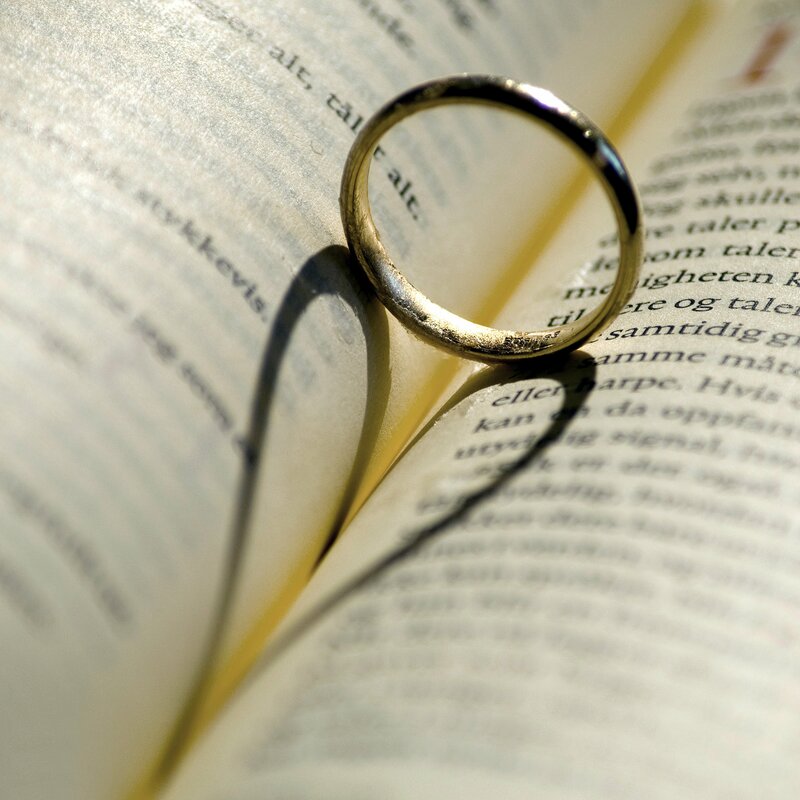 Marriage – Paul continues his teaching to the church in Corinth, outlining marriage as a way of combatting the previous issue of sexual immorality. Marriage is the framework within which we are to remain sexually pure / holy. Clearly, the Corinthians had asked whether it was good to unmarried (or something similar). Paul endorses the state of singleness, but also ‘since there is so much immorality’, he is clear that ‘each man should have his own wife, and each woman her own husband’. Obviously lines had been crossed, and Paul spells it out simply for them. Each husband and wife should attend well to their marriage, ‘fulfilling marital duties’. A husband’s body is no longer his own, but belongs also to his wife, and vice versa. ‘Do not deprive each other except by mutual consent and for a time, so that you may devote yourselves to prayer’ – there is a time to fast from sexual activity in marriage for the purpose of drawing closer to God (and through Him, to each other). Depriving one another too long, though, might allow Satan to tempt one or the other, and test out your self-control. Paul does say he wishes all men were like him, ‘as I am’, presumably ‘single’ – perhaps the strong belief that Jesus was returning soon, that the end of time was fast approaching, meant it was not necessary in Paul’s mind for men to marry and raise children. Perhaps he feels more free to be on his missionary journeys because of his singleness….he reminds his readers that all men are different – each with their own ‘gift’ / calling from God. Paul encourages those who are unmarried or widowed to be content in their singleness, unless ‘if they can’t control themselves, they should marry, for it is better to marry than to burn with passion’. It’s amusing to think of marriage being for those who can’t control themselves, and great to think that marriage is the right place for passions to burn rightly / safely. Paul then calls for faithfulness and commitment in marriage – wives should not leave their husbands, nor husbands divorce their wives – if it does happen, they should remain unmarried or be reconciled. Paul does have a high view of marriage, and of the need to rescue marriages where possible, or remain single into the future. Paul next addresses those who are married to unbelievers – if husbands or wives are married to unbelievers who ‘are willing to live with them’, then they must stay with them. Paul talks of a sense in which unbelievers are ‘sanctified through their believing husband / wife’ – a whole family, children included, are influenced by and benefit from the holy walk of the one partner. All the more reason for couples to stay together. There will be situations where the unbelieving spouse leaves, and then the believer is ‘not bound’. ‘God has called us to live in peace’. ‘How do you know, wife, whether you will save your husband? Or, how do you know, husband, whether you will save your wife?’. ‘My Lord, my God, those You discipline well are truly blessed, those who are taught and follow Your laws. They receive from You: freedom from trouble, and a pit to trap the wicked. My Lord, my God, You do not reject Your people, or forget those who are Your inheritance. Your judgement is absolutely right – all the ‘upright in heart’ will follow Your ways. Who is there to rise up against the wicked? Who will stand against evil? If my Lord, my God, had not come to my help, I’d have been long gone. I cried out to be rescued, and Your love lifted me. Your comfort brought joy to my anxious soul. drawing others together to attach the righteous and kill the innocent. My Lord, my God, You are my fortress, my safe refuge, my rock. Solomon Asks for Wisdom – David’s son, Solomon, establishes himself as king, for the Lord God is alongside him, helping him become ‘exceedingly great’. Solomon speaks to all Israel (commanders, judges, leaders, heads of families) – getting everyone to the high place at Gibeon, God’s Meeting Tent, which Moses had made. David had brought the ark of God from Kiriath Jearim to the place prepared, having pitched a tent for it in Jerusalem. The bronze altar (made by Bezalel, Uri’s son) was still in Gibeon, in front of the Lord’s tabernacle – and that’s where Solomon and the people met before the Lord. Solomon offers a thousand burnt offerings on it. When, that evening, God appears to Solomon, He asks him what Solomon would like Him to give. God shows His delight in Solomon’s prayer, glad that his heart’s desire is not for wealth, riches or honour, nor death of enemies, nor a long life. God grants Solomon then, the wisdom and knowledge he’s requested, but also wealth, riches and honour beyond all others. Following this, Solomon went to Jerusalem from Gibeon, and he reigns over all Israel. He accumulated chariots (1,400) and horses (12,000), kept in chariot cities and Jerusalem. ‘He made silver and gold as common in Jerusalem as stones, and cedar as plentiful as sycamore-fig.’ Solomon’s horses came from Egypt and Kue (purchased by the royal merchants), and a very expensive chariot came from Egypt (600 shekels of silver, and a horse for 150). The merchants also exported items to the surrounding kings (Hittite and Aramean). How often, when we ask God for ‘main thing’, do we find He supplies much, much more. Remember Jesus’s ‘Seek first the Kingdom, and all else will be added to you’. What are we chasing after today? What are we asking God for today? Wisdom / knowledge for leadership is a very good place to start. Lawsuits Among Believers – Paul continues to write to the Corinthian church about their divisions and how they should manage things better. Paul questions why disputes are taken so readily to the law courts, ‘before the ungodly’, rather than being sorted out in-house, ‘before the saints’. These saints will be called to judge the world, and are therefore competent enough to judge on more trivial matters. The church should appoint its own ‘judges‘, even ‘men of little account’ – it is inconceivable to Paul that there is no-one in the fellowship who could make a judgement over a local dispute. It’s such a bad witness to have ‘one brother go to law against another – in front of unbelievers’. As a fellowship, they’ve already lost (credibility, integrity, honesty?) if people are seeking lawsuits through the courts. It would be better to be cheated against, to be wronged, than to be the one carrying out / carrying on the cheating and wrongdoing through court. Those who do wrong (‘the wicked’) will not inherit the kingdom, Paul reminds them. Neither those who are sexually immoral, idolaters, adulterers, male prostitutes, homosexual offenders, thieves, the greedy, drunkards, slanderers nor swindlers will inherit the kingdom. Paul reminds them who they are, in Christ, and is troubled about the lawsuits for two reasons, it seems – (i) we’ve failed badly as a fellowship if we can’t resolve things within, calling the ‘saints’ to judge and (ii) it’s a terrible witness to the ungodly. 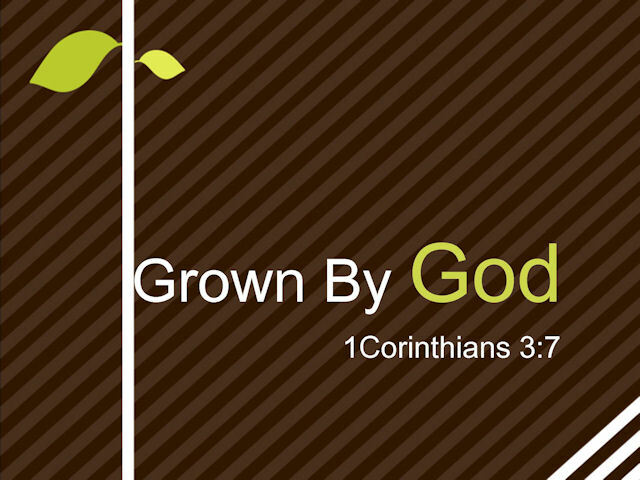 Sexual Immorality – Paul tackles the view that once a Christian, anything is permissible – Paul reminds the Corinthians that not everything is beneficial, and there is a difference when people let things / issues ‘master’ them, when they give in to temptations. For example the saying, ‘Food for the stomach and the stomach for food’ is so temporary, both the stomach and its food will pass away. Our bodies are not ‘for sexual immorality’, as if that’s their purpose, but rather, ‘for the Lord, and the Lord is for the body’. As God raised Jesus from the dead, so He will also raise us. How abhorrent, then, to prostitute our bodies – we should rather unite ourselves with the Lord, becoming one with Him in spirit, than for ‘the two to become one flesh’ immorally. How vital it is for us to remember whose we are, who we are in Christ, as the motivation to seek to honour God, and to be holy as He is holy. they deride, ‘Ha ha – the Lord’s blind, Jacob’s God is not acting, not paying attention’. you are senseless, foolish people – when will you become wise? God created and implanted ears – He values and is good at hearing! God created and formed eyes – He values and is good at seeing! God created nations – He values and is good at discipline! God is the great teacher – He values and imparts knowledge. My Lord, my God, knows the thoughts of everyone – each feeble, futile thought. ‘I had it in my heart to build a house as a place of rest for the ark of the covenant of the Lord, for the footstool of our God, and I made plans to build it.‘ Yet God has told him not to build it, for he has a warrior heart and has shed blood. David reminds them that God has chosen him as King over Israel, and then ‘of all my sons – the many God has gifted me – he has chosen my son Solomon to sit on the throne of the kingdom’. It is Solomon who will build the temple, ‘for I have chosen him to be my son, and I will be his father. I will establish his kingdom for ever…’, said the Lord. David confirms that he has received all these instructions from the Lord. Everyone is lined up to help, and everything is ready to start. ‘I praise you, God of our father Israel, from everlasting to everlasting. Yours is the greatness and the power, and the glory and the majesty and the splendour, for everything in heaven and earth is yours. Yours is the kingdom, You are exalted as head over all. Wealth and honour come from You – You are ruler over all. Strength and power are from You too – You raise up and strengthen all. David continues his prayer, humbling wondering who he is, and who his people are, that God has given so generously to them. David is overwhelmed by the generosity of the people, and glorifies God in it all. He prays that God of their fathers (Abraham, Isaac and Israel), who has been faithful throughout the ages will ‘keep this desire in the hearts of Your people for ever, and keep their hearts loyal to You’. David urges the people to praise the Lord their God, which they gladly do, bowing low and prostrating themselves before the Lord and the king. David’s prayer teaches us humility, and gratitude, and his prayer for the people and for Solomon, for their loyalty, devotion, and close walk with God is a great model for all in leadership. Solomon Acknowledged as King – all the right sacrifices are offered the very next day – 1,000 bulls, 1,000 rams, 1,000 male lambs, with drink and other offerings. 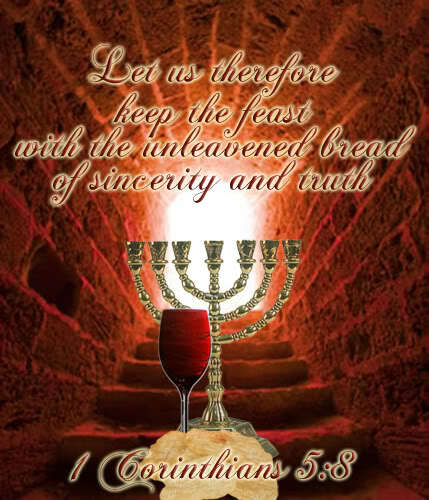 There was a day of feasting, ‘with great joy in the presence of the Lord’. Then Solomon is anointed – acknowledged a second time as the new king, and Zadok as priest. Solomon became king – and he prospered and Israel obeyed him. All the leaders and officers (and his siblings) pledged submission to King Solomon. The death of David – Jesse’s most famous son, David, reigned over Israel for 40 years (7 in Hebron, 33 in Jerusalem), dying at ‘a good old age, having enjoyed long life, wealth and honour’. Solomon succeeded him as king. All the events of David’s life are in Samuel’s, Nathan’s and Gad’s records (his reign and power, events and circumstances regarding Israel and surrounding lands). Expel the immoral brother – Paul has been made aware of sexual immorality being practised within the Corinthian church – in particular ‘a man has his father’s wife’ (sleeping with mother / stepmother). And that this is something those some are proud about. Even in his absence, Paul is with them in spirit, and casts his judgement over the situation. ‘Don’t you know that a little yeast works through the whole batch of dough? Get rid of the old yeast that you may be a new batch without yeast’. Paul’s counsel is that they do not ‘associate’ with sexually immoral people, meaning the one who ‘calls himself a brother but is sexually immoral or greedy, an idolater or a slanderer, a drunkard or a swindler. With such a man do not eat.’ Paul makes a distinction between those inside and those outside the church, saying he has no business to judge those outside the church. God judges those outside. We must hold one another to account within the body of Christ. There’s some really bad stuff going on within the fellowship of believers in Corinth, and Paul sees that it is more dangerous to allow the sin to contaminate the whole (yeast in dough imagery), than to expel the one who is causing the wickedness. You are robed in majesty, armed with might. 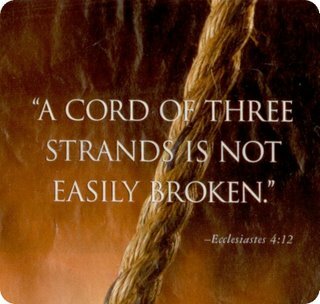 The whole earth is firmly fixed, bound on its course. existing beyond time – eternal. the seas sound off, their waves soar and pound. mightier than the thundering waters, than the breaking seas. Your words stand forever – firmly fixed.